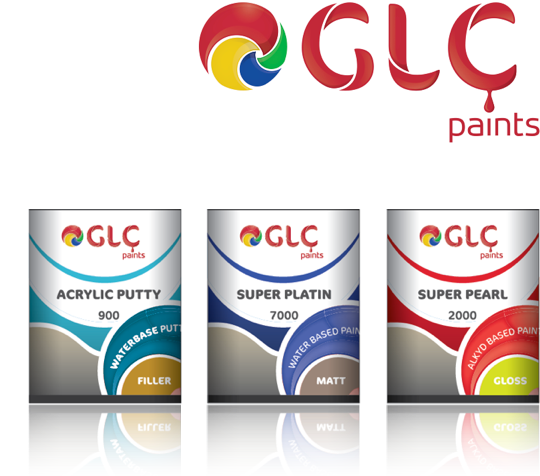 GLC Paints today launched into the Egyptian paint market its new brand identity, designed by Stuff International Design Ltd. It is the start of a process which will see this new look implemented across all items ranging from the paint and other product packaging (from January 2013), to letterheads. GLC Paints is a family German-Lebanese paint manufacturing and sales company and is the third largest in the Egyptian market. Stuff International Design Ltd was commissioned to create a new brand identity and product line logic for their products. Once their new factory is completed in April 2013, the new product ranges will be launched and the aim is for this redesign to take them into second position in the market.